The Tahoe Donner Driving Range is located on Northwoods Blvd. in Tahoe Donner SM adjacent to the Trout Creek Recrreation Center and close to the Golf Course. It may be reached from the pro shop by taking the cart path that runs behind the golf course condominiums. Lessons may be scheduled at the pro shop. 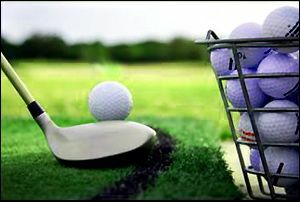 For further information about the Tahoe Donner ℠ Driving Range call (530) 587-9443 or click here.